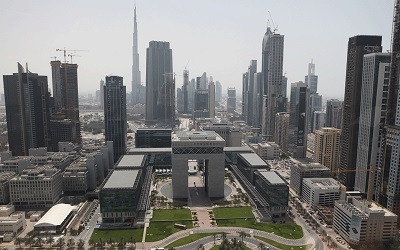 Dubai International Financial Centre, DIFC, the region’s leading financial hub, today hosted the launch of the second Regional Economic Outlook, REO, for the Middle East, North Africa and Pakistan, MENAP, for 2016, in collaboration with the International Monetary Fund, IMF. The Regional Economic Outlooks are exclusive reports produced by the IMF for a variety of regions, with internationally verified data that highlights trends and developments across specific geographies, setting the tone for growth, trade and investment. Discussing recent economic developments, opportunities, challenges and prospects, the report is a key tool and call for action for businesses and policy makers alike. The latest MENAP REO found that despite significant economic headwinds, regional growth is expected to stand at 3.5 percent. In addition, GCC non-oil growth is projected to pick up to 3 percent next year, as the pace of fiscal consolidation eases. The report also noted that lower oil prices and neighbouring regional conflicts are taking a toll on exports and economic activity and that authorities could make faster-than-expected progress in implementing structural reform plans. In addition, it suggested that countries need to accelerate structural reforms to diversify their economies away from hydrocarbons, boost the role of the private sector and create jobs for their rapidly growing labour forces. The report was launched at a presentation introduced by Arif Amiri, Chief Executive Officer of DIFC Authority, which attracted senior executives and financial professionals working in the centre across sectors such as banks and capital markets, wealth and reinsurance. During the presentation, Dr. Masood Ahmed, Director of the Middle East and Central Asia Department at the IMF, outlined the impact of present-day geopolitical and socio-economic factors on the region’s economies and future development prospects. The presentation was followed by an interactive panel discussion which analysed the current economic issues and the future development for the region. In addition to Dr. Masood Ahmed, this year’s panel included Salmaan Jaffery, Chief Business Development Officer, DIFC Authority, Monica Malik, Chief Economist, Abu Dhabi Commercial Bank, and Mustafa Abdel-Wadood, Partner,The Abraaj Group, and was moderated by Lara Habib, Senior Business News Presenter at Al Arabiya News.